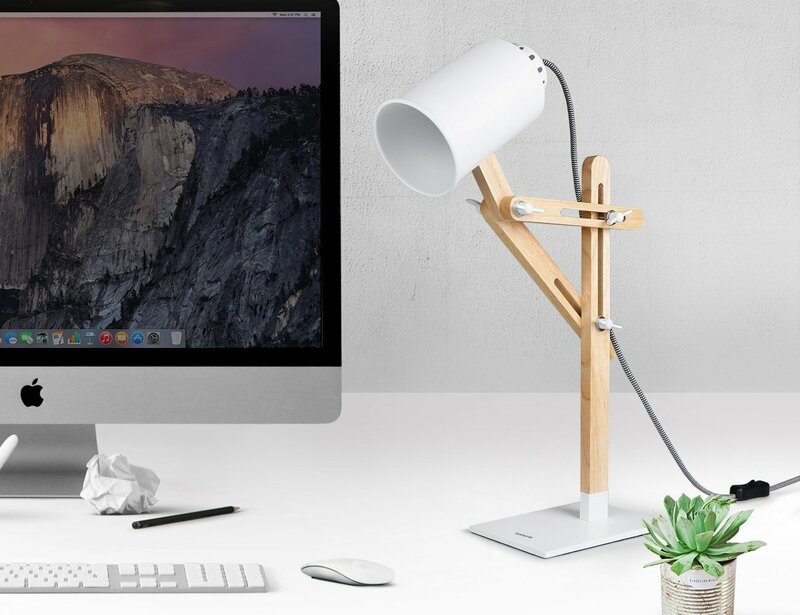 Add some modernity to your workspace with the Tomons LED Multi-Angle Wood Desk Lamp. 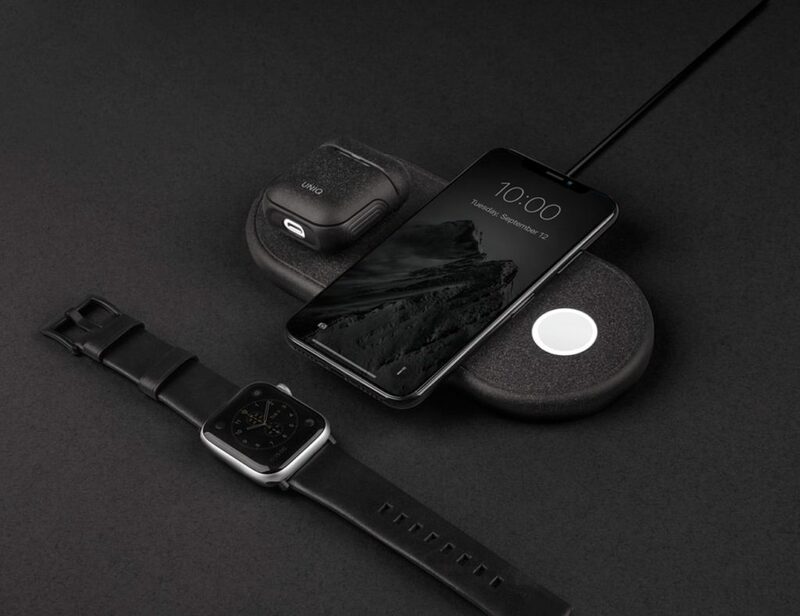 It has a delightfully Scandinavian inspired design. 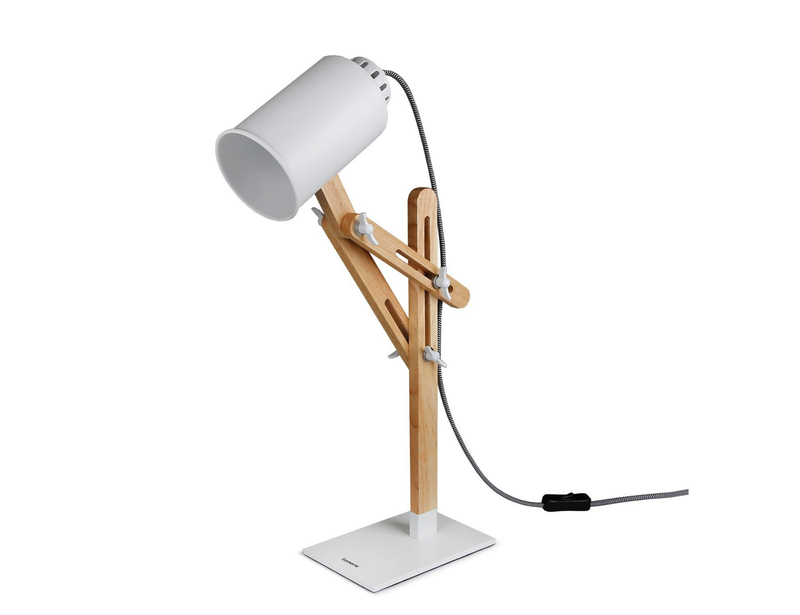 Add some modernity to your workspace with the Tomons LED Multi-Angle Wood Desk Lamp. 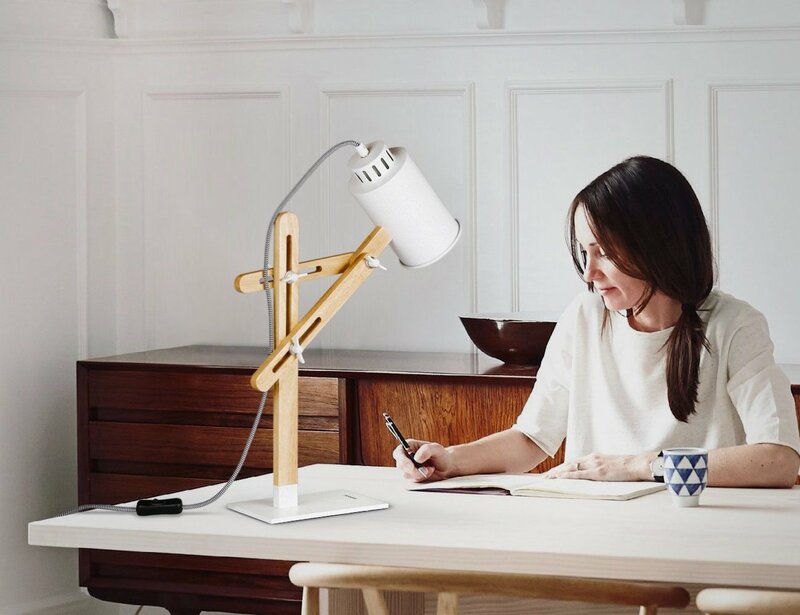 This light source has a delightfully Scandinavian inspired design. 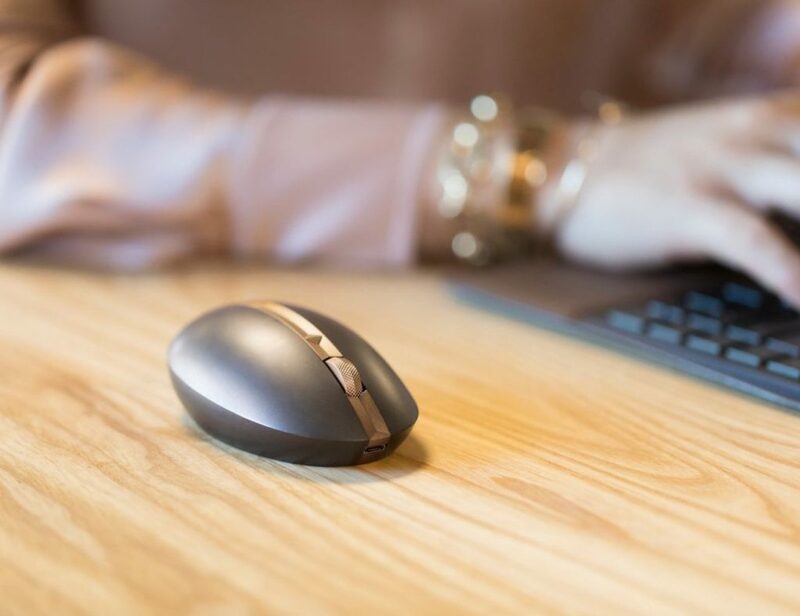 It’s complete with a metal base as well as a metal shade Connecting the two pieces is a durable arrangement of wood. Three pieces of wood come together at various points for total adjustability. You can tailor the light to shine in any direction for your space. The Tomons Desk Lamp also features a premium nylon braided cable. It combats frays for longevity. The lamp is compatible with E26/E27 bulbs. It also works with LED, fluorescent, and incandescent so you can truly customize your space. 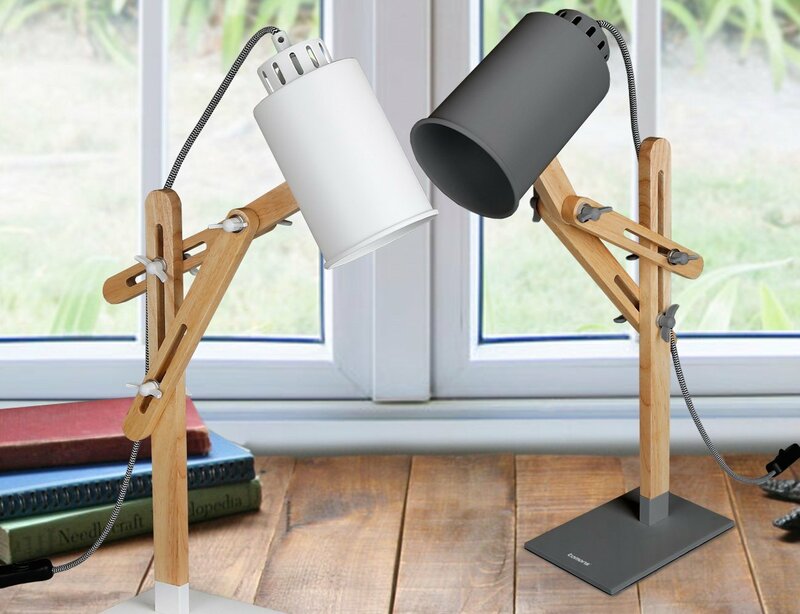 The Tomons Desk Lamp comes in your choice of white or grey metal to perfectly complement the natural wood.